FREE admission with additional cost for optional activities. See prices on schedule below. Architectural lines commingle with shapes found in nature resulting in handmade jewelry that possesses an unrestrained refinement. About the artist: Sky Phaebl was raised in the Miami sunshine. Her instinct as a jeweler and practitioner of Ayurveda is to add light to the body and foster the development of internal radiance. Sky studied jewelry design and fabrication at Le Arti Orafe in Florence, Italy. This environment taught her the craft of metalwork but also exposed her to the richness that comes from restraint, the luxuriousness of quality and a cultural dedication to beautiful presentations. Edie & Glo is nostalgia mixed with a lot of classic style. The hunt for gorgeous fabrics from the 60's and 70's comes together in handmade homegoods and limited run fashion pieces making each piece truly unique to you. Welcome to a more colorful life! Designers Bay and Josiah Jackson founded Ironwood Designs in 2012. Our studio and workshop are located in Bristol, Vermont where we design and build all of our furniture and homeware collections. Mini magical creatures and other playful endeavors: Claire Tebbs offers whimsical wooden peg people and holiday ornaments, felted creations and other colorful crafts for fanciful imaginations. Baird farm is located in North Chittenden, Vermont and has been in the Baird family for four generations. Bonnie and Robert Baird own and operate the farm today while their daughter Jenna and her partner Jacob run the maple syrup retail business. We make bath and body care products, utilizing non-GMO unrefined butters, oils, and essential oils. All products are hand made in small batches without the use of chemicals, sulfates, or parabens. The only fragrance used is that of 100% pure and organic essential oils purchased from local suppliers committed to maintaining high standards for quality and purity. Courtney Allenson is a lifelong native of Addison County who uses making as a tool for personal wellness and healing. A day does not pass without her creating something. Wildblossom Designs: Beeswax candles and luminaries designed with pressed botanicals. Cheryl Summa had worked in the medium of encaustics and pressed botanicals over many years using handpicked florals and local beeswax. Truffles, chocolate caramels & bars made in small batches in Bristol, VT.
No matter what kind of confections, you can be sure our chocolates are made by hand in small batches, with great attention to purity, aesthetics, & TASTE. Free to Be Apothecary offers the simple, yet sophisticated healing qualities that plants and flowers can provide to every household and family. All ingredients are organic and made by hand with love and a high vibe. Ceramics inspired by nature, crafted for function and made using traditional and contemporary methods. Pieces include: mugs, plates, bowls, bottles, vases and tobacco pipes. Colin Gray, is a potter living in Ferrisburgh VT. He creates unique and unusual ceramics, as well as practical, everyday pottery. 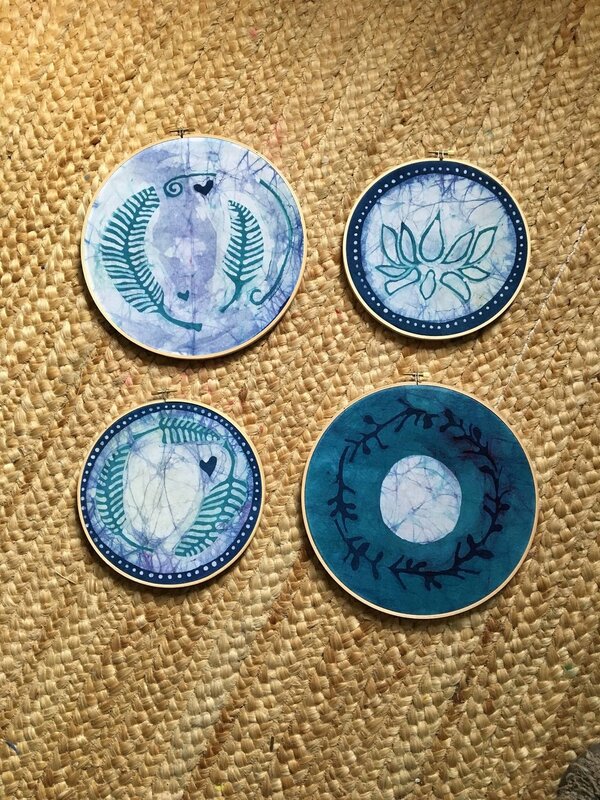 Sarah Hutton offers hand-crafted batiked decorations for home and holiday.